Even when environmentalists admit wind power is more expensive than conventional fuel sources—and they often lie and claim it isn’t—wind advocates argue its environmental benefits are worth the added costs. A recent column by noted British science writer Matt Ridley in The Spectator puts lie to this myth. To the extent one supplants electricity generated by fossil fuels with wind-generated electricity, it does relatively little to protect the environment. For all the bragging the wind industry does about the growth of wind power worldwide—and to be fair, due to huge subsidies, it has been growing at an impressive pace for a decade now—it still doesn’t amount to much as a share of power overall. According to the International Energy Agency’s (IEA) 2016 Key Renewables Trends, wind provided 0.46 percent of global energy consumption in 2014. This is total energy, not just electricity, which is less than one-fifth of all energy used. Even limiting the question to electricity, all renewable-energy sources combined provided approximately 22 percent of electric power worldwide in 2012, a share the Energy Information Agency expects to grow to about 30 percent by 2040. The problem for wind proponents is despite all the subsidies and mandates and the use of its punier but even more expensive cousin, solar power, wind and solar together only make up less than 5 percent of all global electric-power use, an amount EIA estimates will grow to 14 percent by 2040. 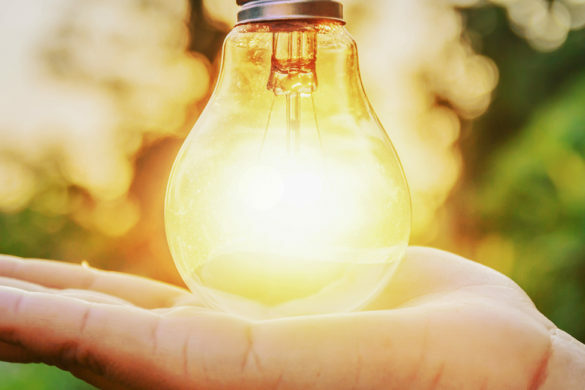 Since electric power is just 20 percent of total energy use, even in 2040, electric and solar power will provide a mere fraction of the world’s total energy supply. Hydropower and old fashioned biomass—which, for most of us, means burning wood for heat and cooking—dominate the renewable-energy supply. The land, wildlife, and climate impacts of this push for wind are horrendous. Ridley points out IEA estimates world energy demand has been growing at about 2 percent each year for nearly 40 years, an amount of annual growth that is expected to continue for decades to come. If wind turbines were to supply just the expected growth in energy demand for the next 50 years, wind turbines would need to cover an amount of land equal to Russia, the largest country on Earth, in terms of land mass—and that’s just to meet new demand not displace the huge amounts of fossil fuels we currently use. But even that doesn’t tell the whole story. Because wind turbines must be placed where the wind blows fairly constantly and without obstruction, wind farms often gobble up particularly scenic land areas, such as the tops of mountains and other remote areas. 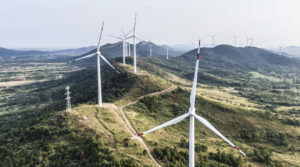 These places are typically hundreds of miles from the growing urban areas that need the power, necessitating the construction of tens of thousands of miles of new power lines to transport the electricity from where the turbines are spinning to where the power is needed. Power lines, of course, also take up land. Other power plants, by comparison, can be constructed next to existing power-line corridors or near the areas where the power is needed. In addition, because electric power is lost during transmission over great distances, not all the power generated by turbines reaches its intended destination, which means more turbines and land is needed to meet electric-power growth. Too put this in perspective, two of the biggest wind farms in Europe have 159 turbines and cover thousands of acres, but together, they take a year to produce less than four days’ worth of output from a single 2,000 MW conventional power station that takes up 100 times fewer acres. A wind farm occupying 192,000 acres, approximately 300 square miles, would produce the same amount of energy as a single 1,000 MW nuclear plant that requires less than 1,700 acres, or 2.65 square miles. Wind turbines have been rightly called the Cuisinarts of the air for their propensity to chew up thousands of migratory birds and bats every year. In the 1960s, Rachel Carson warned of a “silent spring,” when children would no longer hear whistles of song birds because they had been killed by modern pesticides. Carson was wrong about the cause of death, but if wind farms are built around the world in the numbers demanded by climate alarmists, she could well be right about the results. Millions more birds and bats will be killed in the future by spinning turbines built in the corridors through which birds and bats migrate. And what do we get for all this death and destruction? Certainly not cleaner air or lower carbon-dioxide emissions. Wind farms generate power only when the wind is blowing within a certain range of speed. When there is too little wind, wind towers don’t generate power, but when the wind is too strong, they must be shut down for fear of being blown down. Even when they function properly, wind farms’ average output is less than 30 percent of their theoretical capacity, compared to 85–95 percent for combined-cycle gas-fired plants. Additionally, the power wind farms produce is highly variable, ramping up and down quickly alongside gusts and lulls. This is problematic because the power grid needs a regulated flow of power to function properly. Because of these two endemic facts about wind power, wind farms require conventional power plants to supplement the power they do supply. By building a 1,000 MW wind farm, you are essentially also requiring the presence of a 700 MW natural-gas power plant. It should also be noted the production of steel and concrete needed to build massive wind farms require energy-intensive processes, emitting greater amounts of carbon dioxide than most other industries. In fact, wind turbines require more steel and concrete per unit of energy produced than any other source of electricity. As Ridley recounts for The Spectator, wind turbines need about 200 times more material per unit of power generated than a modern combined-cycle gas turbine. That means a single two-megawatt wind turbine uses 150 tons of coal. Building and installing the 350,000 wind turbines every year needed to keep up with increasing energy demand would require using 50 million additional tons of coal per year. By any measure, governments’ big push for wind power delivers very little in terms of energy or environmental protection. Wind power advocates are blowhards, and it’s time for governments to stop listening to them.